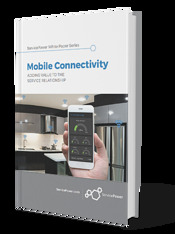 Enable your techs to better connect with your customers! Mobile Workforce Management Software enables your field service operation to schedule any remote, field based resource, from repair and installation techs, nurses, to telecom and utility pole men. Real time, intra-day route optimization decreases schedule costs and improves productivity and efficiency, improving overall customer satisfaction. Managing remote workers is always challenging, but ServicePower’s mobile workforce management software provides your managers with line of sight to job status, geo-location of assets and nearest tech. The intelligent optimization algorithms automatically create the best schedules, and let you schedule the right parts and helper labor to increase first-time fix rates and reduce on site duration. Patented Simulated Annealing algorithm yields best in class route optimization! View staff and jobs, job status, reallocate jobs at risk of disappointing a customer! Schedule a demo today to experience the power of our mobile workforce management software. Our platform focuses on fixing fundamental field service problems and offers the ability to intelligently schedule appointments, SLA driven jobs, complex jobs, and parts.